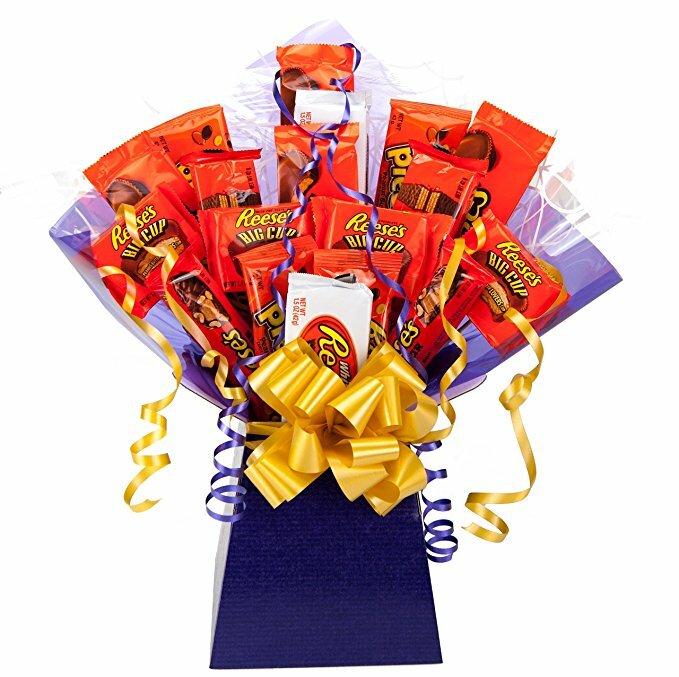 If you're like me and you have a seriously sweet tooth, there would be nothing more amazing than waking up on your birthday and seeing this Reese's peanut butter chocolate bouquet among your pressies! Packed FULL of everything Reese's from peanut butter cups to Reese's bars this makes an excellent 21st birthday gift for a peanut butter nutter! This would work really well as a centrepiece with gifts all around it and 21st birthday decorations around the wall and table.